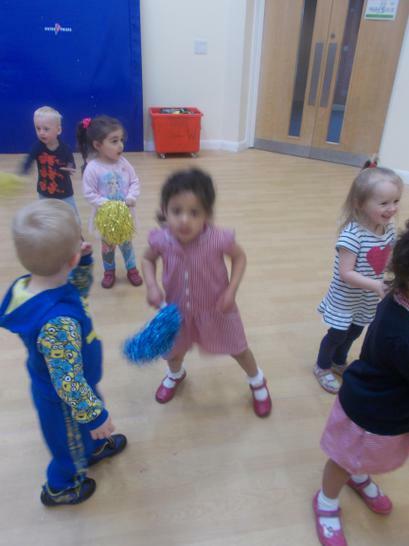 We had a fab last day in nursery we had lots of yummy party food , we danced away in the hall with the entertainer and played party games. We used the large rollers with paints and enjoyed roller painting on a large scale. We celebrated Archie's 3rd Birthday...................we sang Happy Birthday and had yummy cake for snack. Happy Birthday Archie from all your friends. We went to the park to explore the climbing equipment and swings and had a yummy picnic . Happy Birthday Mason from all your friends. We changed our role play area into an hair salon based on the children's interests, the children made believe by pretending to be the hairdresser and the clients, they showed good skills in brushing each others hair and had fun with the hair rollers. Why the weather was hot and sunny we had lots of fun outdoors we loved eating yummy ice cream and ice pops and we had so much fun with the water guttering and exploring the natural area. The children once again showed excellent concentration skills and good hand eye co-ordination to fit the correct shapes into the shape sorters. We celebrated Domink's 3rd Birthday with yummy cake. The children have been painting using different tools showing control and making connections between movement and marks they make. They had so much fun painting with balloons. 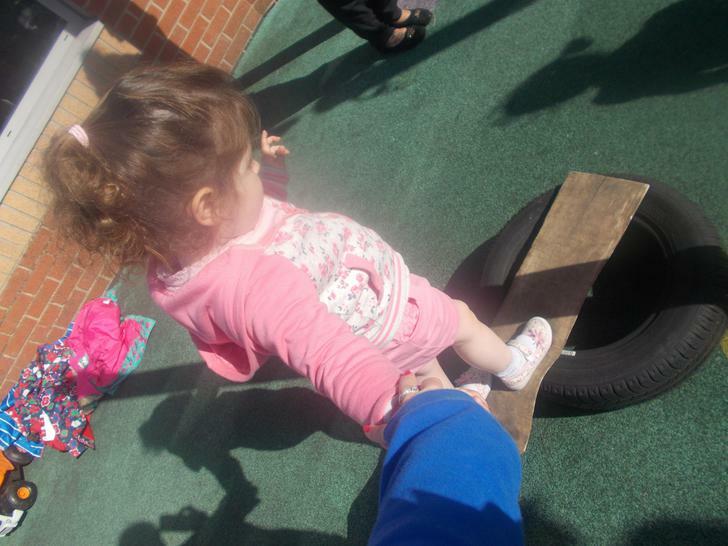 The sun has been shining and the children have loved exploring outdoors. 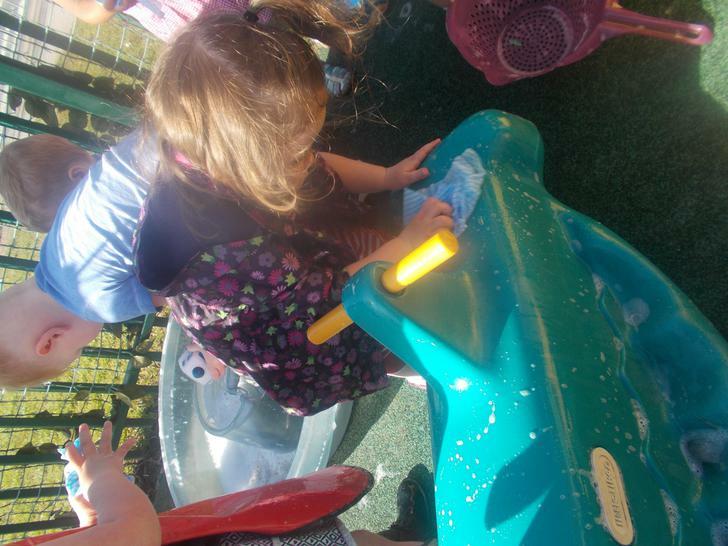 They have taken part in washing the toys, practiced their balancing skills and most important had lots of fun together. 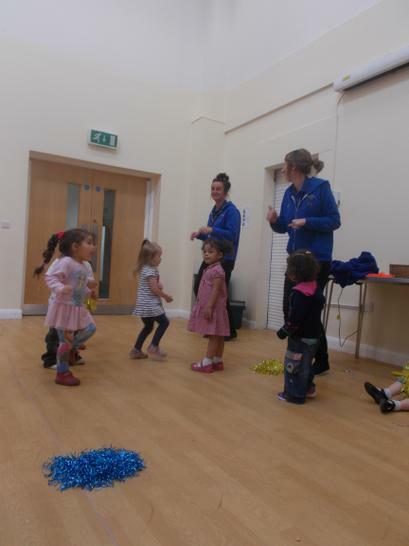 The children had fun taking part with a music and movement session within the hall. Fab dancing everyone!! We have been developing our social skills by practicing using cutlery correctly. The children enjoyed fitting the correct shapes into the shape sorters. It took several attempts for some children but they persisted to achieve their goal. Lexie has moved from the baby room into the Sunflower Room. She's settled really well into the Sunflower routine and all the children have taken a shine to her. We went on the bus to Wigan to explore the local community. 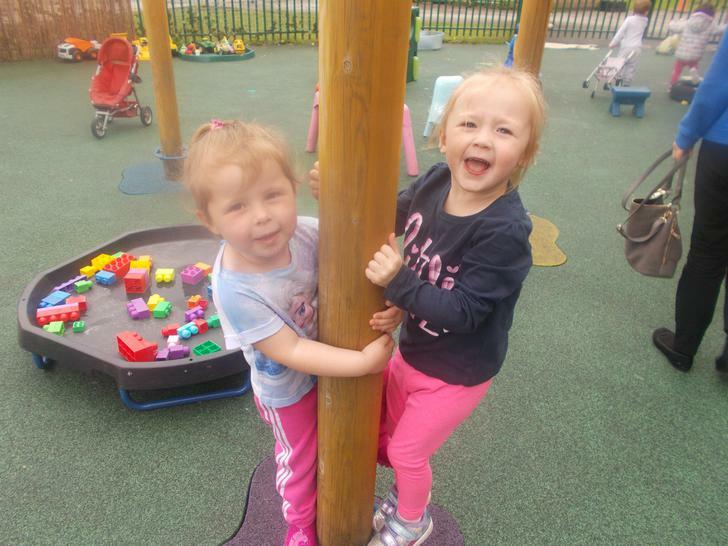 We went to the park to practice our climbing skills and also had fun on the swings and slide. The children have been practicing their cutting skills using the scissors to make snips and cut the play-dough.. They showed good control and concentration. Funky Models- the children used a range of media to create their own models with the play-dough. Archie and Dominik enjoyed drawing circles on the white boards showing good technique and control. Wow fab circles boys, well done!!!! 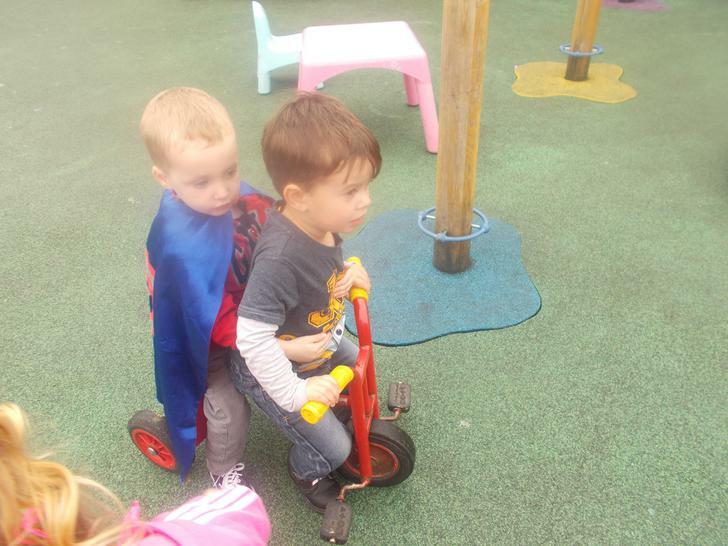 The children have had a fab time this week in our new Superhero Den. 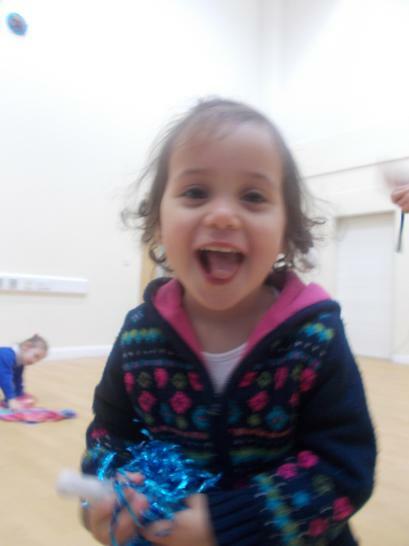 They've had lots of fun and used their imagination's creatively taking on roles. The children went on a tractor ride and feed the donkeys with bread, held chicks, rabbits and guinea pigs, bottled feed lambs, went on a donkey ride, played on the park and hand fed goats and sheep. 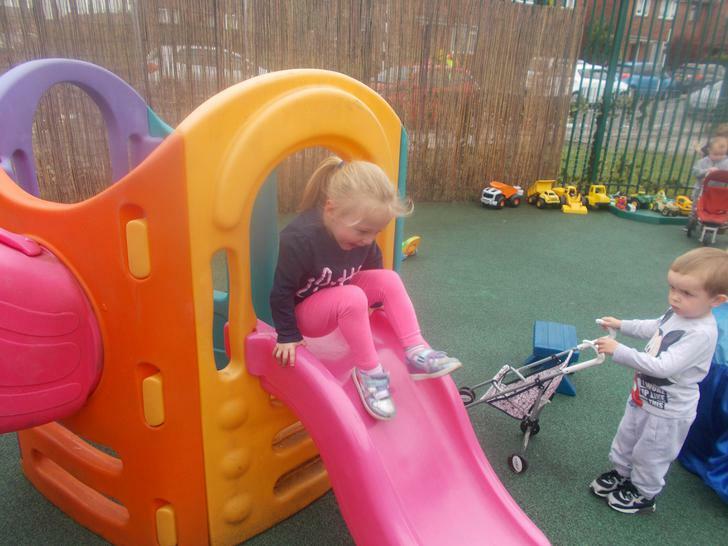 The children had fun taking Daisy the Donkey to the park to explore. They had lots of fun on the slide and swings. 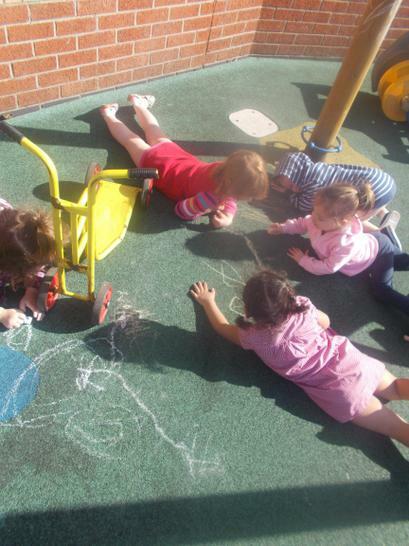 Mark making outdoors is Fun!! 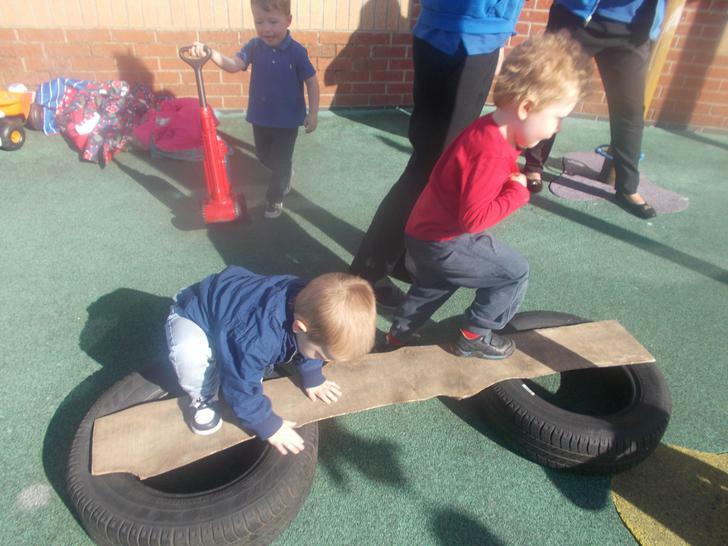 The children loved this activity making connections between their movement and marks they made. For snack the children have been enjoying a range of healthy fruits to develop their likes and dislikes. 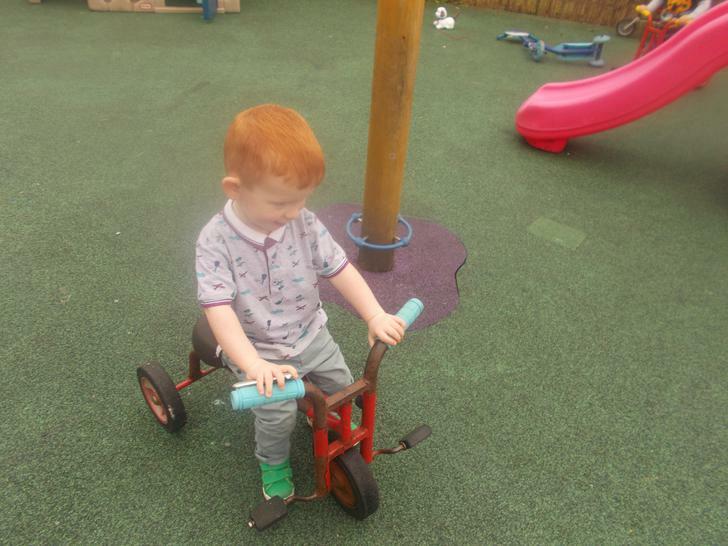 We have been practising pedalling the bikes and scooters outdoors, we tried really hard. Well done Everyone, Good Effort! We celebrated world book day by coming to nursery dressed up has our favourite characters. Fab costumes everyone!! Daniella and Ollie did visits into our room this week from the Baby Room. They both did fantastic and settled well. Well done!! Well done to Lucas being a big boy this week and going on the potty. High five Lucas Great achievement!! We went over to the ALPS within school doing a bug hunt, looking for bugs under rocks and under tree stumps for worms. 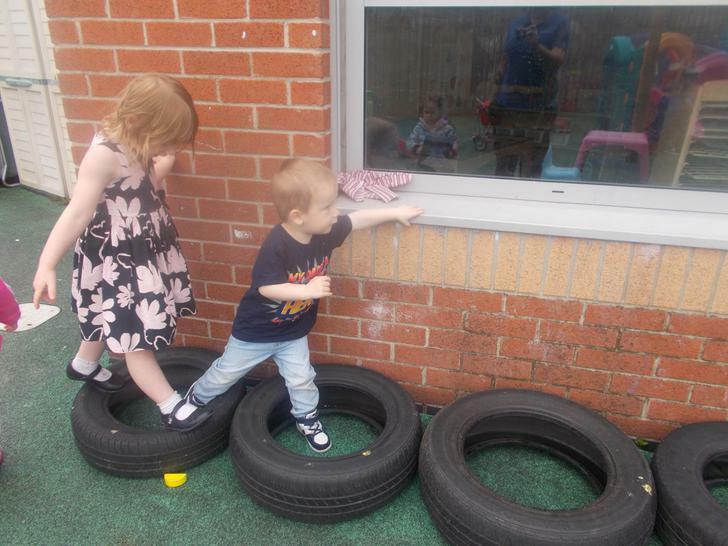 The children enjoy exploring our local environment. We painted with objects from around the room, making lots of patterns and marks. We are becoming superb builders, look at our models that we made this week. We celebrated Leighton's 3rd Birthday and had yummy cake for snack. 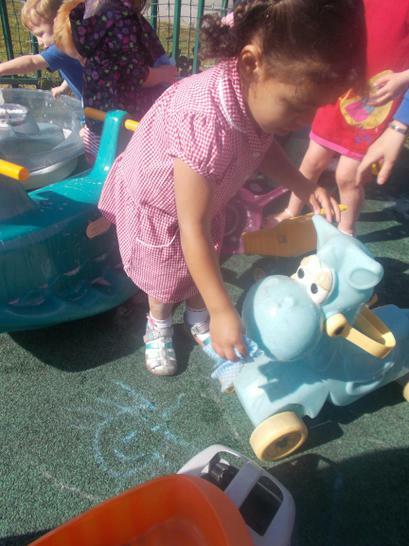 The children enjoyed painting with spray bottles outdoors showing control over tools. This week we have been developing our hand eye co-ordination through threading activities. 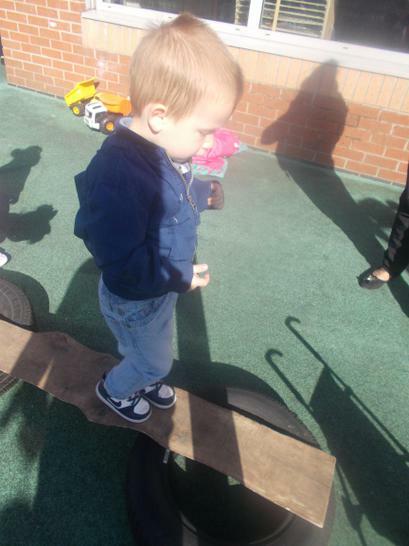 The children showed high levels of concentration and persisted when challenges occurred . High five to everyone!! Feet printing- look what fun the children had with this sensory experience while making connections with movements and marks they made. We had a very yummy week tasting Chinese foods and eating pancakes to celebrate Shrove Tuesday. 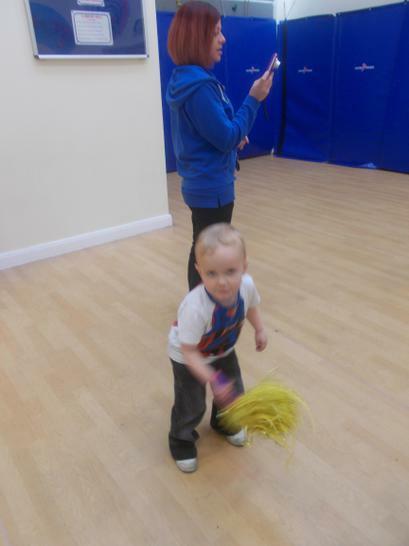 The children have been developing their physical skills in the hall. 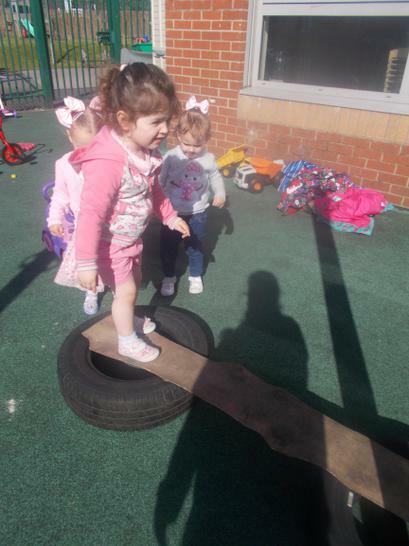 They've shown excellent skills in balancing along the benches and working together to help each other. 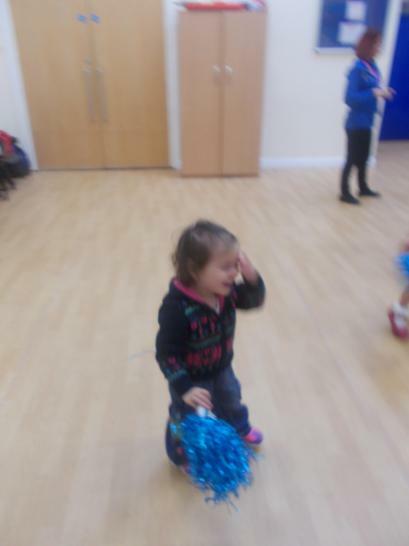 They also had fun practising roly polys.